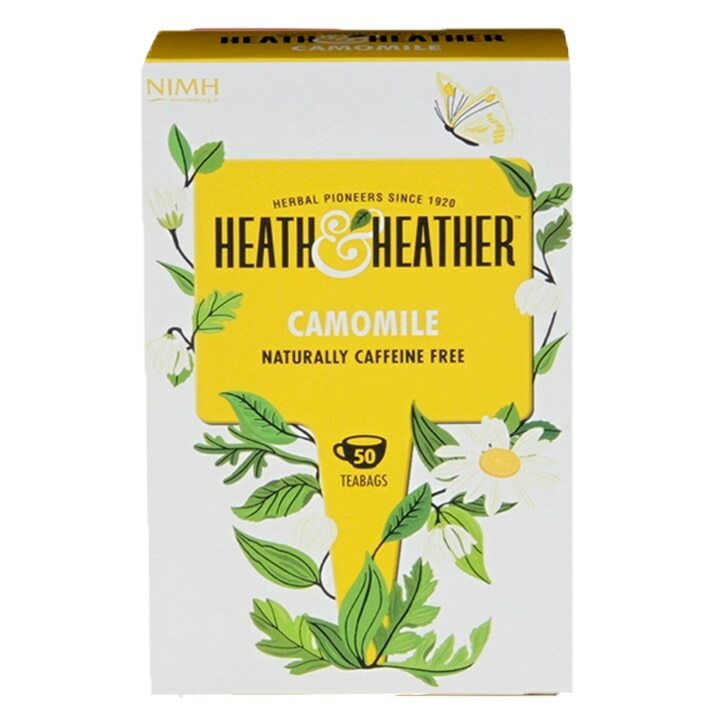 Heath & Heather Camomile Herbal Infusions is rated 4.8 out of 5 by 14. Rated 5 out of 5 by Col19855 from 100% natural Fabulous taste! Great value! I buy this tea constantly better than all other chamomile teas on the market! Rated 5 out of 5 by Ava cava from Flower power!!! Love it !!! If you need a cup of decaf tea that would be a perfect choice!! !Super healthy, even better with a spoon of honey!!! Rated 5 out of 5 by Charedin from So relaxing Have drunk this tea for many years and will stand by it as a great product to help relax especially before bedtime. Rated 4 out of 5 by Fab23 from Excellent tea Taste is great, light flavour and good value product.